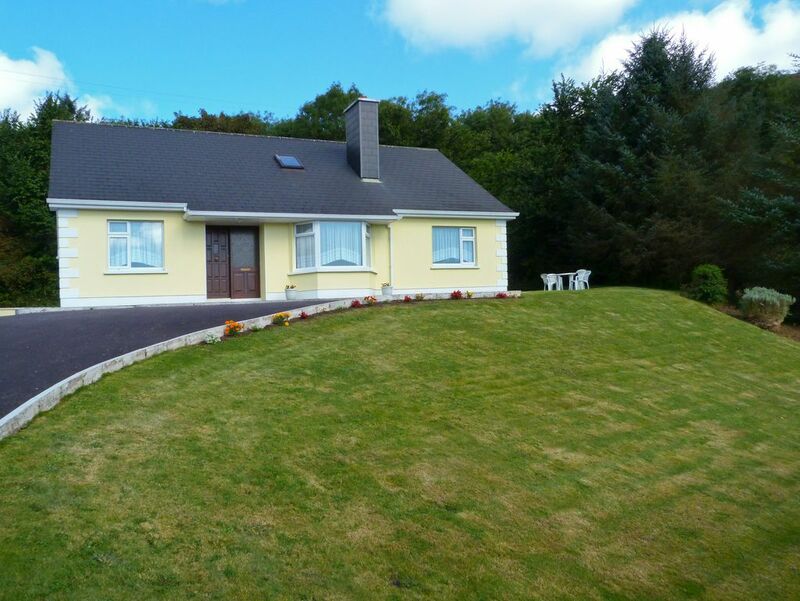 This is a spacious and homely older-style bungalow on an elevated site within walking distance of Rosscarbery village. It enjoys an open fire, has a PAYG dongle and is fully equipped with a large country cream oak kitchen. There is a wonderful airy and spacious feel and is ideal for a maximum occupancy of six persons including adults, children and infants. West Cork offers plenty to see and do, with a driving range and childrens playground nearby, enjoying the pubs and the music.Shop. Pub. Restaurant 440 yards. Beach 1 mile. Lakeside 440 yards. GF: lounge, kitchen/diner, utility room, 2 doubles 1 with ensuite shower room, twin, bathroom with separate shower.Oil by meter read and electricity by meter read, open fire with starter pack, linen and towels included, cot, high chair, TV, dvd player, CD, fridge/freezer, microwave, washer/dryer, internet access, welcome pack, partially enclosed garden, sitting out area, patio furniture, private off road parking. Sorry no pets. Everything was perfect, even the weather ! About the house: clean, big enough for a family, kitchen is perfect with every thing you need. Bedrooms are confortable and the neighborhood very quiet and nice. About the situation: right in the middle of everything, Rosscarbery is a small town but with pubs, restaurant, supermarket, a beach. About the owners: nice couple very friendly and helpful . I, really, would recommand this rental.